In an effort to increase community engagement, outreach, education, and optimize communication and marketing programs, we invite your feedback as part of our Community-Oriented Policing and Problem-Solving Program. The goal of this program is to address issues in a proactive way - before they become a call for service. 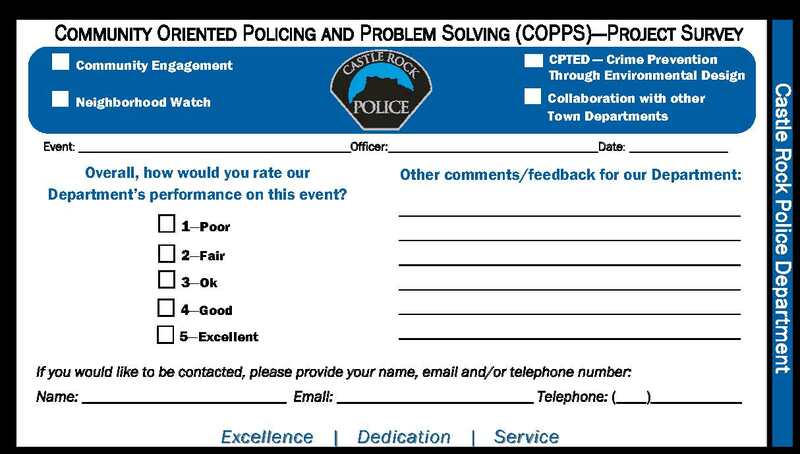 You may see the card at one of our next events, or fill it out online: COPPS Project Survey.